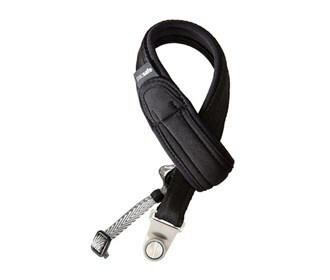 The Pacsafe Carrysafe 50 anti-theft DSLR camera wrist strap is comfortable with Neoprene padded strap.The rotating camera lug screws into the bottom of your DLSR or MSC, the slashguard strap helps to prevent strap slashing and the secondary retention strap offers additional anti-drop security. 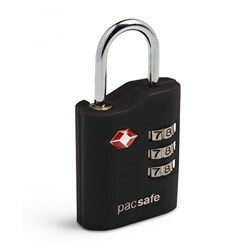 The Pacsafe Carrysafe 50-Black has many exciting features for users of all types. See the Pacsafe Carrysafe 50-Black gallery images above for more product views. 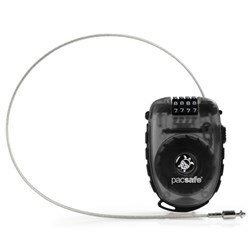 FactoryOutletStore stocks a full line of accessories like 4 Dial Retractable Cable Lock and Combination Lock for the Pacsafe Carrysafe 50-Black. The Pacsafe Carrysafe 50-Black is sold as a Brand New Unopened Item.